In an effort to control skyrocketing retirement costs in the massive University of California system, U.C. employees hired after July 1, 2016, will be able to choose a 401(k)-style pension plan, the first time this has been offered. Governor Jerry Brown and U.C. 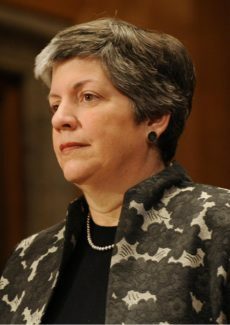 president Janet Napolitano negotiated the agreement, which was enshrined in the state budget approved recently by the California legislature. Perhaps even more historic, however, are the arguments made by Napolitano in favor of 401(k) pensions. Napolitano is correct on both points. The private sector largely abandoned old-fashioned defined-benefit pensions decades ago. Less than 15 percent of the “Fortune 100″—America’s largest companies—offer a defined-benefit pension anymore. Percentages are even lower for smaller companies. And more state and local governments across America offer 401(k)s than ever before. Also, as I show in my new book California Dreaming: Lessons on How to Resolve America’s Public Pension Crisis, 401(k)s are often a better approach to retirement security for modern workers who do not stay with the same employer for 20, 30, or 40 years as was common in the past. Defined-benefit pension plans, which are “backloaded,” made more sense under the old “hire and retire” model when workers stayed with the same employer for decades. Modern workers in the private sector and public sector want more job flexibility, and 401(k)s are generally superior under these conditions. The details of U.C.’s new 401(k) pension plan must be worked out by July 2016, but as Napolitano said: “Pension reform needs to happen. It’s the responsible thing to do.” I strongly agree, and I welcome Janet Napolitano to the populist cause of people across the political spectrum in California who correctly recognize that the current public pension system is unsustainable. Switching to 401(k)s going forward is a better approach to retirement security that will help spare our children and grandchildren from being crushed by future pension costs.